Trick-or-treating has been a popular Halloween tradition in the United States for about 100 years, but the origin of the fun activity dates back to Celtic times. This month bring your kids to Discovery Days for a chance to trick-or-treat around the Museum of World Treasures from 11 a.m. – 3 p.m. on Saturday, October 25. This safe trick-or-treating opportunity will also be an educational event including healthy candy alternatives and fun Halloween crafts. The event is free with general admission and available from 11 a.m. – 3 p.m., while supplies last. Museum Memberships will be 10% off on Saturday, October 25 for this special family-friendly event. Costumes are encouraged! 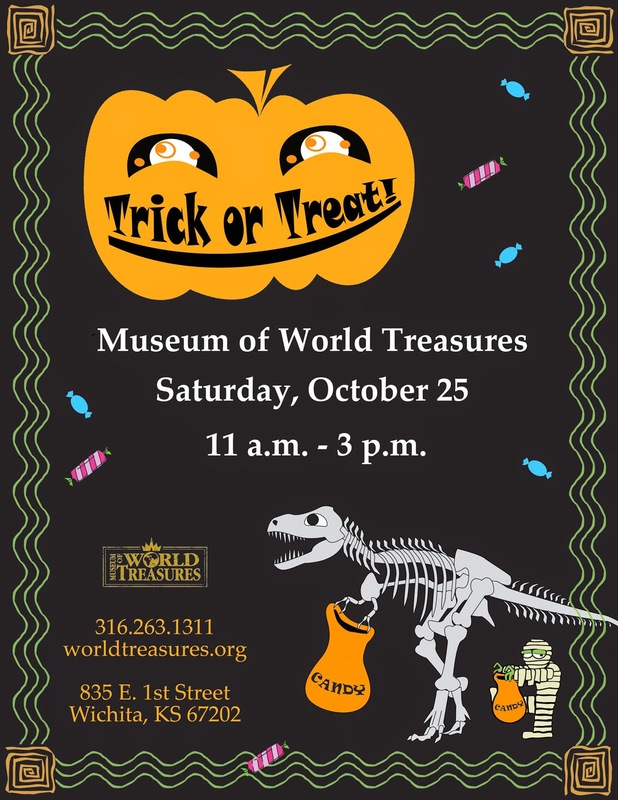 Museum staff and volunteers will be dressed up throughout the Museum for trick-or-treating stations and crafts. For more information, please visit our website or call 316.263.1311.